A brave man made a terrifying discovery when he ventured into a deserted funeral parlour in Alabama. 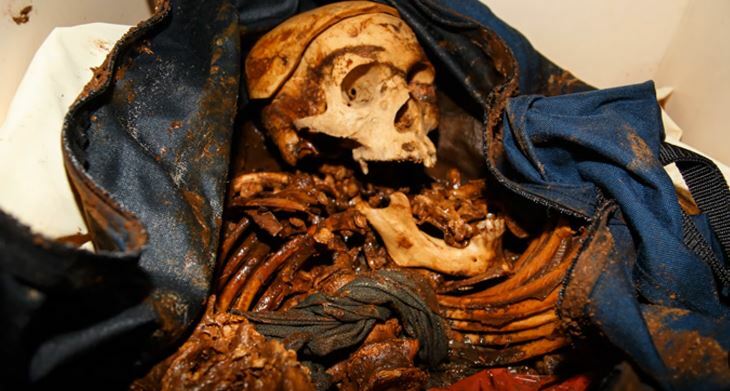 The tomb, which was designed in 1992 to resemble the catacombs of Rome, is abandoned and littered with embalming chemicals, open caskets and decaying human remains. The video, uploaded by Youtube channel R Willy, shows the urban explorer making his way through the abandoned site where eight bodied were recovered. The Memorial Mound was also littered with eerie leaflets promoting the site, calling the mausoleum ‘The Most Beautiful Burial Facility in the U.S.A.’. Since this video was taken, the site has been put on lock-down, is monitored by security 24 hours a day, and all of the bodies have since been relocated to a traditional cemetery. I mean, it was a funeral parlour so it’s not that surprising that he found bodies there.